After delivering a series of annual dividend cuts in the aftermath of the 2018 financial crisis, Banco Santander, S.A. (NYSE:SAN) has stabilized annual distributions and has boosted its annual dividend payout for the past three consecutive years. The company started distributing its quarterly dividends in 1998 and has enhanced its annual dividend payout for nine consecutive years before the 2008 crisis. However, the bank encountered troubles along with the entire Financial sector and was forced to cut it annual dividend payout seven times over a period of eight years. However, after lowering it s annual dividend payout to $1.71 – the same level as it was in 2000 – the bank reversed the decline and has boosted its annual dividend distribution every year since 2016. In addition to boosting its annual dividend over the past several years, the company offered its income-seeking shareholders additional benefit of a 4.5% dividend yield, which currently outperforms the average yield of its sector peers by a substantial margin. Banco Santander’s string of recent dividend hikes is only one of the contributing reasons for the above-average yield. Unfortunately for the company’s shareholders looking for capital gains, the other contributing factor is a declining share price. The company’s share price declined 43% over the trailing five years. After initially losing two-thirds of its value at the beginning of the trailing five-year period, the share price reversed direction and nearly doubled between mid-2016 and the beginning of 2018. Regrettably, the uptrend ended in January 2018 and, after another trend reversal, the share price rode a downtrend towards it 52-week low for most of 2018. However, the share price has been rising since bottoming out in late December 2018 and has gained more than 15% since its December low. Therefore, investors convinced that the share price might continue its current uptrend should do their research and consider taking a position in the Banco Santander’s stock prior to the company’s next ex-dividend date on January 30, 2019. Shareholders of record prior to that ex-dividend date will be eligible to receive the next round of dividend distributions on the February 8, 2019, pay date. Headquartered in Madrid, Spain and founded in 1856, Banco Santander, S.A., together with its subsidiaries, provides various retail and commercial banking products and services for individual and corporate clients worldwide. The company offers customary demand and time deposits as well as savings accounts, certificates of deposit, mortgages and various personal loans. 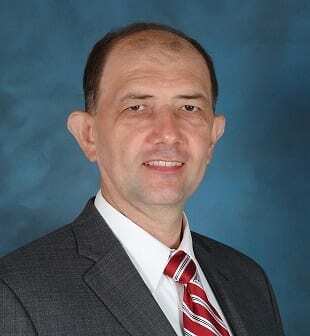 Additionally, the bank also offers cash management, trade finance, custody and securities services, corporate loans, capital market products and syndicated corporate finance services. Also, the bank is involved in the corporate banking, treasury, and investment banking activities. Formerly known as Banco Santander Central Hispano S.A., the company changed its name to Banco Santander, S.A. in June 2007. As of the end of 2018, Banco Santander operated a network of nearly 14,000 branches globally. The company’s domestic subsidiary – Santander – currently operates more than 600 branch locations and more than 2,000 Automated Teller Machines (ATMs) in the United States Northeast. The company’s share price reached its 52-week low at the onset of the trailing 12-month period. After peaking at $7.55 on January 26, 2018, the share price declined nearly 43% before reaching its 52-week low of $ 4.32 on December 24, 2018. However, the share price has reversed direction and recovered some of its losses to close at $4.97 on January 18, 2019. While still more than 30% down for the trailing 12 months, the current closing price was 15% above the 52-week low from late December 2018. Instead of the steady quarterly dividend payout amounts that increase each year, Banco Santander, distributes variable quarterly amounts that are based on the company’s financial results. The current $0.56 quarterly dividend payout is equivalent to an $0.224 annualized payout, which corresponds to a 4.5% dividend yield. This current yield outperformed the 3.34% average yield of the entire Financials sector by nearly 35%. Furthermore, the Banco Santander’s current yield is also more than 50% above the %2.98 average yield of the Foreign Money Center Banks industry segment, as well as nearly 12% higher than the 4.03% simple average yield of the segment’s only dividend-paying companies. 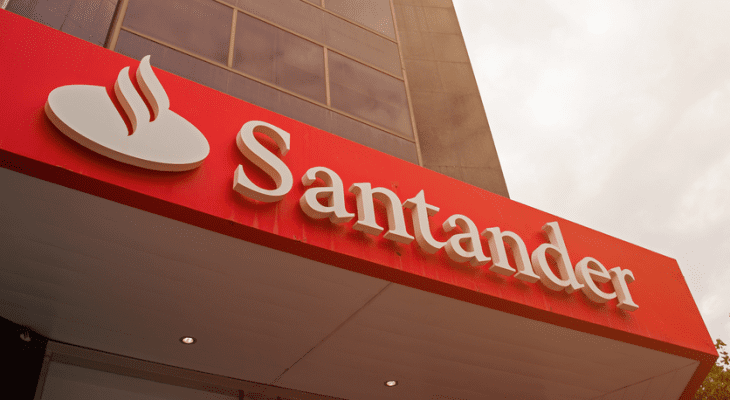 Since Banco Santander reversed its dividend decline and resumed its annual dividend payout boosts, the company has enhanced its annual dividend payout more than 30%. This level of growth over the past three years is equivalent to an average growth rate of 9.4% per year.